What Glee means to the cast. The Glee cast and creators were in high spirits Tuesday during a panel promoting the show for Emmy consideration at the Television Academy in North Hollywood, where they dished on everything from Rachel's botched audition to an upcoming body switch episode. Here are eight highlights from the funny and poignant session. 1. 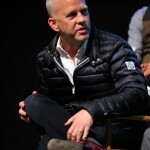 Co-creator Ryan Murphy revealed that the remaining four episodes of the season would explore what happens next for Rachel (Lea Michele) after the glee diva choked during her NYADA audition. "The next episodes after this really deal with the implications and complications," he told the packed house. "The great thing about that character is that she just doesn't give up. That's a wonderful thing to write to, Rachel's tenacity. I think people love that about her, that she has a dream, even now. It's inspirational to a lot of kids to see a scene like that and not get what you want in the moment but to not give up. That's the idea of what the show is about." 2. For her part, Michele said filming the botched audition scene was truly heartbreaking -- and came from something she worried about during the Glee concert tour. "Every night on the Glee tour when I'd sing 'Don't Rain on My Parade,' I used to call [exec producer] Dante Di Loreto and say, 'I'm going to mess up one night, I know it and I'm so scared to have that happen,' " she said. "To have that happen to her in such an important moment was so sad, which is why that scene came so easy to me -- because it was actual nerves and something that I truly felt fearful about for her and for myself as a performer." 3. Dot Marie-Jones noted Coach Beiste's domestic violence story line isn't over and drew from a friend's experience to portray the emotional scenes in which her character is beaten by her husband. "It wasn't hard to get there," she says, noting she cried while reading what was happening to not only her character but Rachel as well. Meanwhile, look for Jones to cover Taylor Swift's "Mean" in Episode 20, titled "Props." 4. "She probably has more run-on sentences than I do," Jane Lynch said of her on-screen nemesis, Roz Washington (Nene Leakes). Fun fact: Ian Brennan writes almost all of Sue Sylvester's dialogue -- as well as Leakes' material. When crafting the character, Murphy revealed that he drew upon the Real Housewives star's time on Celebrity Apprentice before he realized that he could call and offer her the part. Her first scene: a page-long monologue that was met with a round of applause from the cast and crew. 5. 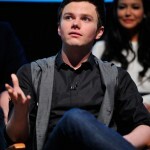 Looking back on the "First Time" episode, the cast praised the writers and directors for crafting a story for LGBT teens that didn't exists for older generations and noted that the network worked with them on the intimate scenes between Rachel and Finn as well as Kurt and Blaine. 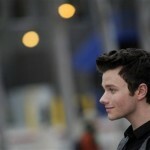 Chris Colfer and Cory Monteith, meanwhile, offered different insights into filming the tender scenes. "I was really sweaty," Monteith said, noting the couple's close proximity to the fireplace in the scene. Added Colfer: "I was scared shitless." 6. 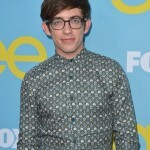 During the Christmas installment directed by Matthew Morrison, Kevin McHale's Artie found what could be his calling when he directed the episode at the center of the hour and based his performance on someone close to the show: Ryan Murphy. "I was trying to [imitate him] but Ryan was like, 'You can't be mean, I'm writing you much too nice.' "
7. 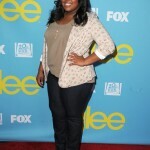 Amber Riley had perhaps the line of the night when asked to recall her favorite moment with on-screen love interest Chord Overstreet: "It's always interesting when we kiss because both of our lips are so big," she said to laughs. "We have to figure out whose lips are going to be on top!" The night's other best zinger went to Colfer, addressing Kurt's tight gold lamé pans from his NYADA audition: "I had two fittings and had no idea it would be a battle of the bulge." 8. As for what's ahead, spoilers were sparse but the cast did tease the upcoming "Props" episode in which Tina (Jenna Ushkowitz) falls into a fountain and wakes up to find everybody is someone else. Set to swap: Tina becomes Rachel, Kurt is Finn, Puck becomes Blaine and Mike becomes Joe, with Santana as Artie. "Accessories I never had before," Shum said of sporting dreadlocks for the episode. 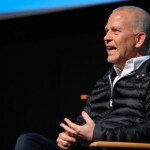 Taylor Swift and "Glee," together at last: Ryan Murphy spilled the beans during the "Glee" cast's screening and panel at the TV Academy on Tuesday, May 1 that Swifty's music will finally appear on the FOX hit. Two characters will duet on the song "Mean" during an upcoming episode. Who, exactly, will sing the Swift song? Read on for that and more delightful tidbits Zap2it gleaned from the panel, including the pranks the cast plays on newbies, how Nene Leakes' guest role came to be and the trouble with Amber Riley and Chord Overstreet kissing. The entire cast was in attendance (Lea Michele, Cory Monteith, Chris Colfer, Darren Criss, Naya Rivera, Heather Morris, Kevin McHale, Jenna Ushkowitz, Harry Shum Jr., Jane Lynch, Jayma Mays, Matthew Morrison and Dot Marie Jones) aside from Dianna Agron and Mark Salling, who were stuck on set filming. Everyone's envious of Whoopi Goldberg's bus. The actress, who guested as the NYADA dean during "Choke," notoriously doesn't fly -- instead she has a tour bus that she uses to travel across the country. "I have been on the bus," Morrison admits. "There's a toiet but there's no shower, and there's just a big back bedroom and an area up front where the driver and her friends hang out and huge TVs. She's had it since 1994." Nene Leakes got her role not because of "The Real Housewives of Atlanta" but because of "The Celebrity Apprentice." "I was a huge fan of Nene when she was on 'Celebrity Apprentice,'" Murphy says. When the writing team was creating the Roz Washington character, they imagined her talking like Nene did on 'Celebrity Apprentice,' but instead of hiring someone like her, they just hired the Atlanta housewife herself. "I had read before that she started out as an actress so I just called her [and offered her the part]." Her first scene was a page-long monologue, and Murphy says the crew gave her an applause afterwards for doing such great work. The "Glee" cast likes to mess with newbies. It's not exactly hazing, but Riley admits the cast plays around with the fresh meat by giving them funny nicknames -- Overstreet was known as "New Booty" -- and by telling them their call times have changed. "One day Sam [Larsen] was in his trailer for like two hours after everybody else left, but we were joking! We didn't think he wasn't going to do it," she says. But don't blame her. "It wasn't me!" Criss says "We like Damian [McGinty] a lot because he's Irish and every experience he has is like a new American experience. And even if it's something that isn't even American, we can justify making him do it by saying 'No, it's an American thing.'" For example: "'Just get me and everyone else a coffee and a sandwich, it's like an American thing.'" Coach Bieste and Puck take on Taylor Swift. Amber Riley says Chord Overstreet's Trouty Mouth causes problems during their kissing scenes. "I think it's always interesting when we kiss because both of our lips are so big," she jokes, cracking up her castmates. "No, working with him is really fun. Chord is a lot of fun and he's really, really funny. He does great impressions." 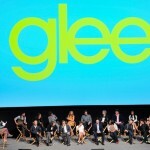 The cast of Glee broke down in tears while shooting final scenes for season three. The stars from the popular US TV show have found it emotional while working on the latest episodes. Many of the characters are in their final year at high school and will be going on to college or full-time jobs. Harry Shum Jr., who plays talented dancer Mike in the show, has revealed that the prospect of graduation has taken its toll. "There [are] a lot of tears on set, randomly. We had a rehearsal and even our choreographer had some tears,” he told ET. “He couldn't even get through the rehearsal...We've been through a long journey." Jenna Ushkowitz portrays Tina and added that the cast and crew are dealing with mixed emotions. 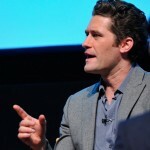 There is a level of uncertainty about what will happen to some of the characters next season. “It’s probably going to be some sort of a different show,” she explained. Lea Michele also revealed that she and her co-stars have no idea about how this season will end. Her character Rachel is engaged to fellow student Finn, but she isn’t sure if a wedding will be happening just yet. "The last couple of pages in the finale script were not handed out to the cast so it's a big secret and I'm assuming we're going to find out on the day or something like that. They're trying to keep it totally, totally top-secret," she added. Glee's Cory Monteith has admitted filming the show's series finale has been a "bittersweet" experience for the cast. 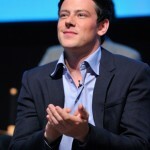 Cory's character Finn Hudson is set to graduate from McKinley High, along with several other key castmates, at the end of the season. The cast have tweeted about filming the emotional scenes, and speaking at a screening in Los Angeles, Cory confessed there have been some tears on set. "It's like tearful happiness, because we're all really excited and happy for where the show's gone and going, but at the same time, we're sad that it's changing," he said "It's been such a mainstay for us, such an important part of our lives, obviously, and it's changing, and so it's been bittersweet." The fate of Finn and fiancee Rachel, played by Lea Michele, hangs in the balance as the end of season three approaches, with the pair hoping to follow their dreams and move to New York. But the 29-year-old actor refused to divulge any secrets about whether a happy ending was in sight for the couple. "It's really good," he said. "I'm really excited about everything that's coming our way, but I can't say anything!" 5 Glee Spoilers: Rachel's Future, Freaky Friday, a Formidable Pairing and More! Still floored that Rachel botched her big audition in this week's episode? (Its title, "Choke," was kind of a giveaway...) Freaking out that only a few episodes stand between you and the McKinley High graduation? You're not alone. 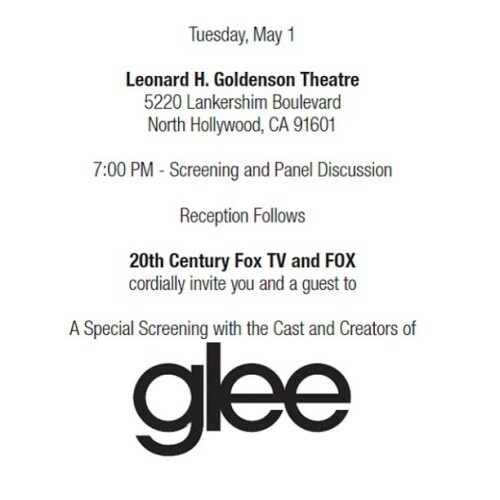 At a Tuesday Glee panel, the show's cast and crew explained why hope is not lost for Rachel and teased what's to come before G-Day. 1. Rachel is not so easily defeated. Viewers shocked to see New Directions' shiniest star choke during her NYADA audition, don't be fooled. While series boss Ryan Murphy said it was a more interesting choice for Rachel (Lea Michele) not to go sailing through to her dream school, it's not in the character's DNA to accept defeat. "The great thing about her is that she does not give up," Murphy said, adding that the writers had fun in the upcoming episodes writing to her defining "tenacity." Michele said she was "really devastated" for Rachel, and identified with the "real fear" of failure that performers face regularly. 2. Oh yes, there will be tears. It's still anyone's guess who will be moving on from — and out of? — Glee when Graduation Day comes and Season 3 ends. But the cast is already all broken up about it because they began shooting the season's last episode this week. "I definitely collapsed on to the ground the other day," Michele said. All the actors 'fessed up to crying at some point -- and they had only been through two days of filming! 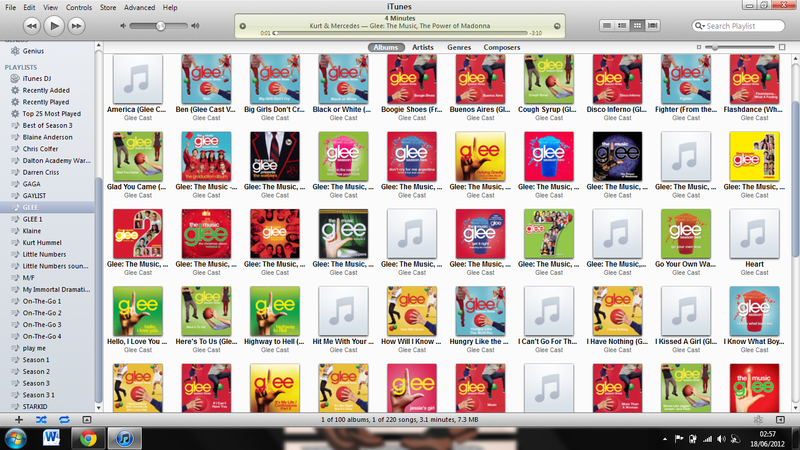 Kleenex, gleeks. Kleenex! 3. Freaky Friday time. This is totally happening: Tina (Jenna Ushkowitz) will fall into a fountain at the mall, and when she comes to, everyone will have switched bodies. Really. You want proof? Fine. Look for Tina to wake up as Rachel. 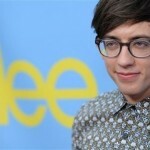 Also, Kurt (Chris Colfer) will play Finn (Cory Monteith), Puck (Mark Salling) becomes Blaine (Darren Criss) and Santana (Naya Rivera) becomes... Artie (Kevin McHale)? "Naya as Kevin is hilarious," executive producer Ian Brennan said. But perhaps topping even that is Mike Chang (Harry Shum) as Joe Hart (The Glee Project winner Samuel Larsen). "Harry with dreads... best thing ever," Brennan said. 4. The next formidable pairing: Coache Bieste (Dot Marie Jones) and Puck! You read that right. No clue as to why they're teaming up, but consider this: They'll be singing Taylor's Swift's banjo-driven "Mean," which the country star wrote in response to her critics. (She's a fragile flower, people!) Let's read into these lyrics together: "Someday I'll be livin' in a big ol' city and all you're ever gonna be is mean. Someday I'll be big enough so you can't hit me and all you're ever gonna be is mean. Why you gotta be so mean?" Wait, who's picking on Puck? !